One thing you should know about me. I love bright colors. Always have, always will. When it comes to nail polishes, I try all sorts of shades, but the neons and the bolds will always have a place in my heart. 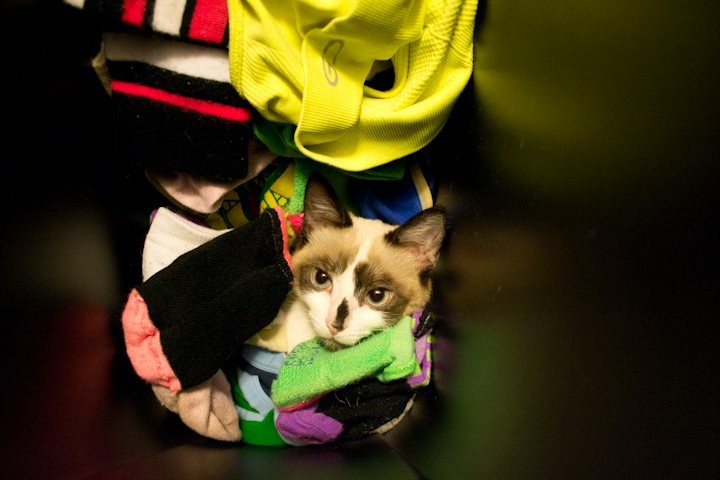 Just look at the socks and sports bras in my laundry. So I designed my beginning blog layout with bright colors. I love the colors so much, I decided to do a manicure mimicking those brights. 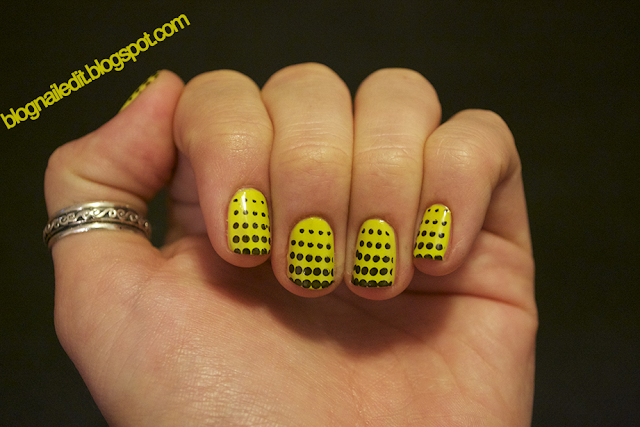 So here it is: China Glaze's Electric Pineapple stamped with Konad's plate m60 with Sinful Color's Black on Black. Pretty perfect color combination if you ask me! Still playing with the watermark choices and hand positions.